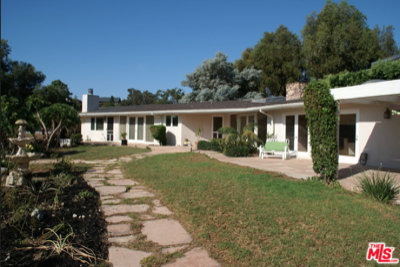 Point Dume Ranch House Is a Sure Bet to Sell Fast! Just listed ten minutes ago and straight to my loyal readers! 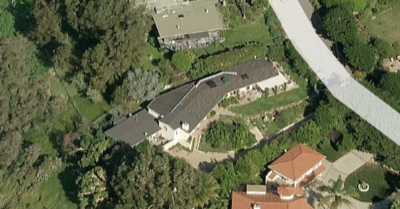 A 3 bedroom 2 bath ranch house on Point Dume has been listed for $2,675,000 and it comes with a seriously great bonus…..a 2 bedroom, 1 bath guest house! The 1962 home listed at 6773 Portshead Road appears to have the right “bones” for a remodel. The side of the home that faces the yard is begging for some Fleetwood doors and the pitched roof might be opened up. The home comes with a beach key and will likely sell very fast. Homes like this, and at this price, generally go within the first week of hitting the MLS. Mark my words…..there will likely be a line of buyers and designers at the house tomorrow. Jump on it before it is too late! The accuracy of all information, regardless of source, including but not limited to square footages and lot sizes, is deemed reliable but not guaranteed and should be personally verified through personal inspection by and/or with the appropriate professionals. Any information relating to a property referenced on this web site comes from the Internet Data Exchange (IDX) program of CARETS. Listed with Brian Merrick/ CB Malibu. This web site may reference real estate listing(s) held by a brokerage firm other than the broker and/or agent who owns this web site. Last updated April 19 at 6:32 pm.